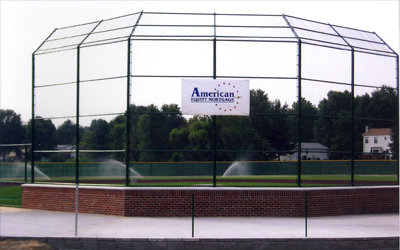 The focal point of our complex is our brick backstop with forest green vinyl coated chain link fence completing the backstop and surrounding fence off to the sides. 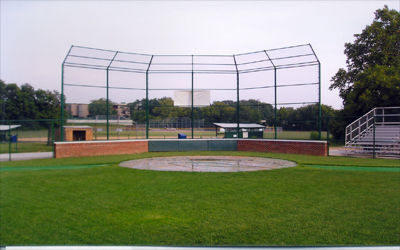 There is also a fenced retaining wall with a 10 row section of bleachers directly behind the backstop capable of holding 150 baseball fans. 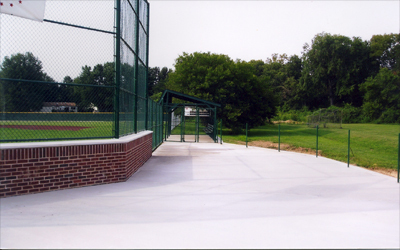 We also have 3 additional 3 step bleachers capable of holding additional fans.